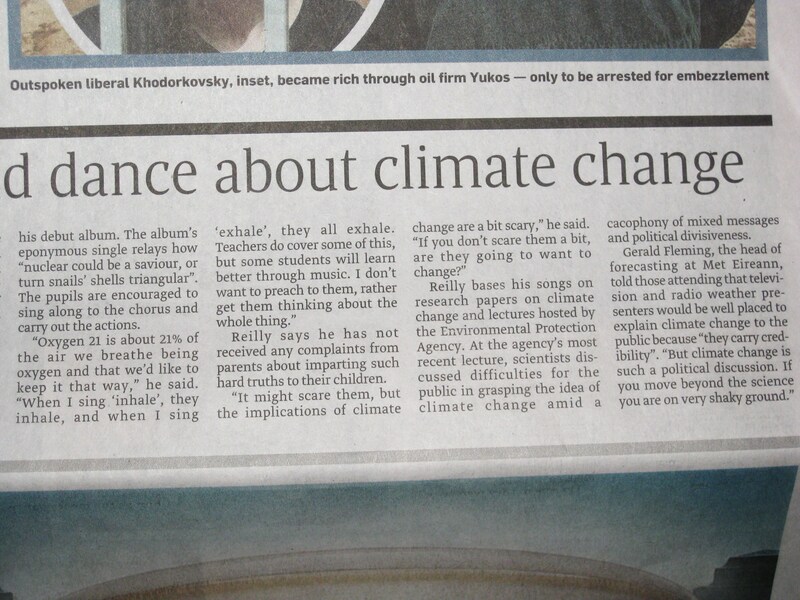 I’ve been facilitating my Climate Change Songs Workshops in schools in Dublin and Kildare areas for the past 4 years. 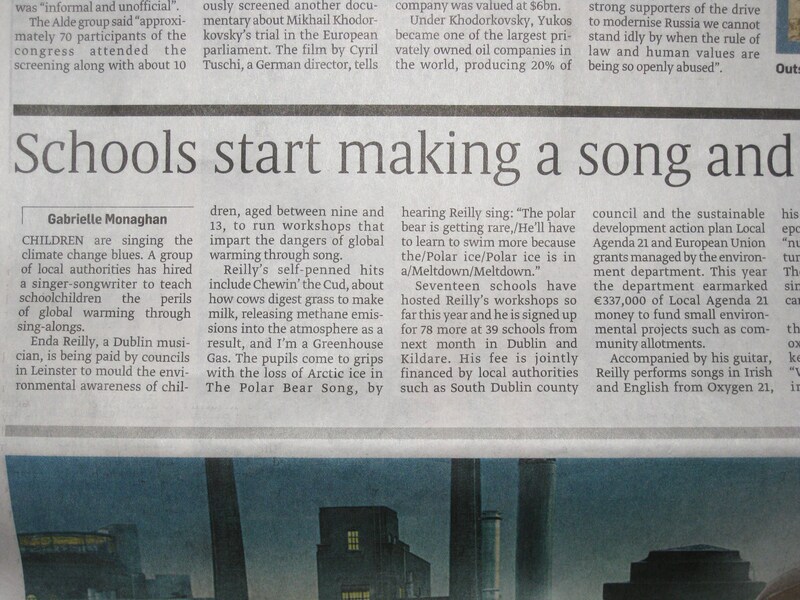 I’ve used some of these songs as springboards for discussions about this pressing matter in primary and secondary schools and for various other interested parties including Green Drinks Dublin, and recently in Hyderabad India. I have a few new songs for this page some inspired by the India trip. I hope to add them here over the coming months. Here’s an article from The Sunday Times about my workshops.